1. Rise early – With so much on your plate everyday; it’s important to start your day as early as possible. Take the first hour of your day for yourself and use it to get ready to face your challenges. This early morning time is ideal for planning, reading, meditating and working on your business plan. 2. Use a list – Make a list of goals for the day that is no longer than seven items long. There is not enough time in the day to do everything so take the unfinished items from yesterday and start with those. Work your way down the list and it will keep you focused. 3. Join a Team – By working with and sharing your goals and achievements with other like-minded individuals, you will have the support you need to persevere. “Two heads are better than one” is very true when it comes to accomplishing a goal. 4. Ask Questions – If you take the time to ask critical questions in the beginning of your business venture, you will be armed with the foresight to make a decision and react to new information. Use online forums, mentors, friends, member groups or your own family network to answer as many questions as you can before your launch. 5. Be Passionate – Try to do something you love. It’s much easier to get up in the morning and put in 20 hours if it doesn’t feel like work. Put your best foot forward by focusing on what you are passionate about and the success will be closer at hand. Build your online presence - Be visible on the internet. Create a website, blogs and join networking sites. 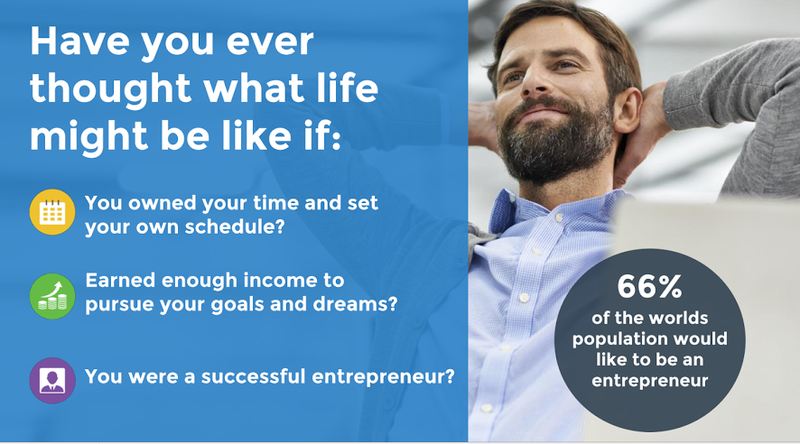 The EBA 24/7 is the world’s first complete Business Educational Center that combines mentoring, tools and an income in one place. The system was designed to help save and make money for all businesses, from start-ups to fortune 500 companies. 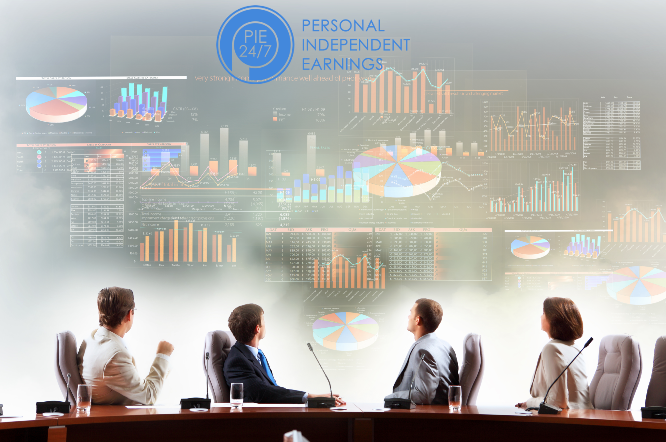 Personal Independent Earnings and More Bucks Annually! Which we fondly refer to as a PIE MBA. The EBA 24/7 includes the Change Your Life 168-Day Challenge, PIE Webs, PIE Apps and so many other great solutions. In today’s digital age, your business needs the EBA. 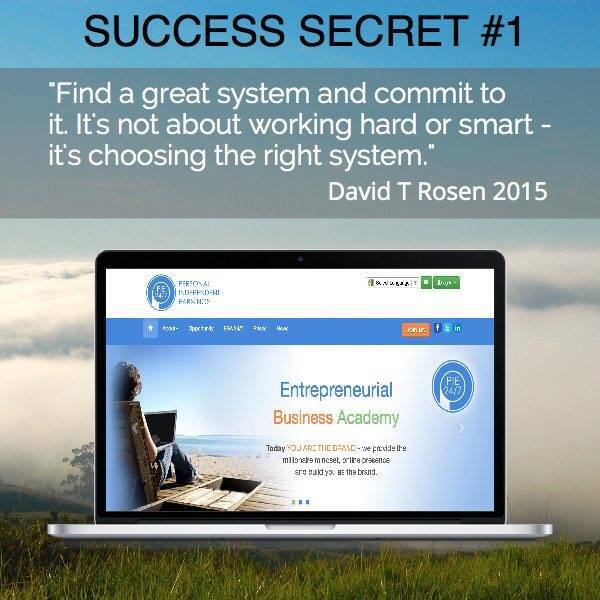 After years of research and development, David T Rosen has crafted a powerful all-in-one solution that can greatly reduce your daily costs which can lead to $1,000’s in annual business savings. In general, branding yourself is key, people like to be able to trust you and at least have the feeling to know you a little. Setup your own personal marketing in the long run. Make small videos (even if its just 20 seconds long).